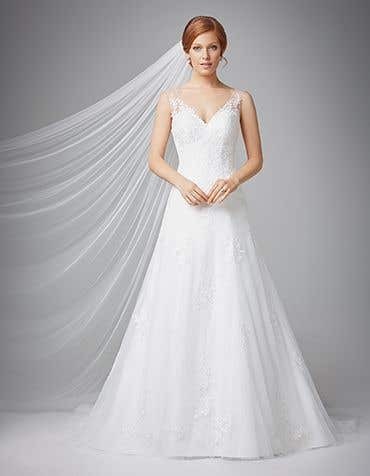 A v neck wedding dress is a beautiful blend of elegance and sophistication. 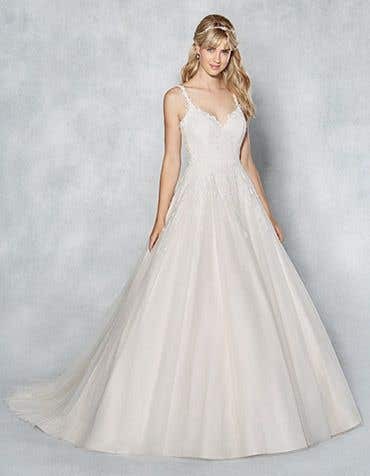 Delicate illusion straps dipping into a plunging v neck wedding dress is flattering and flirty. 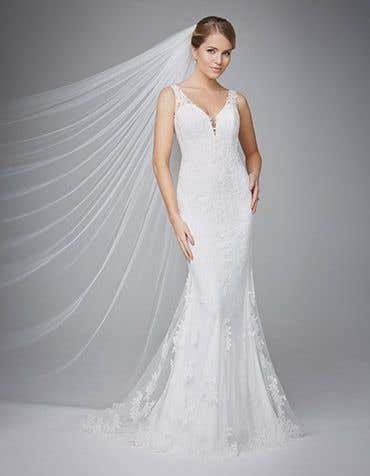 For brides-to-be that want a little extra cover up, illusion panels will ensure you're not feeling too exposed. 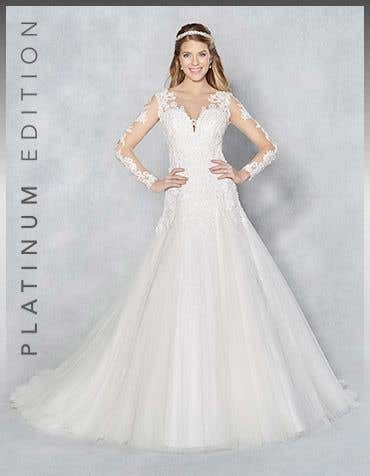 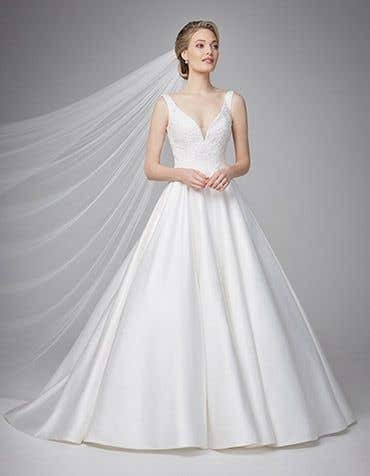 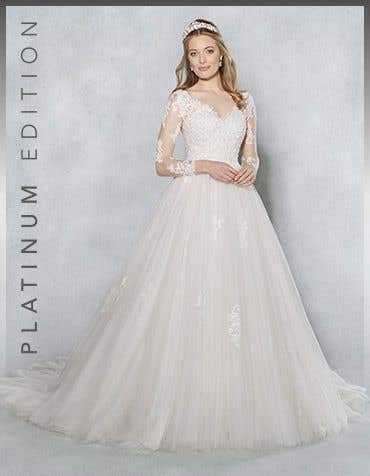 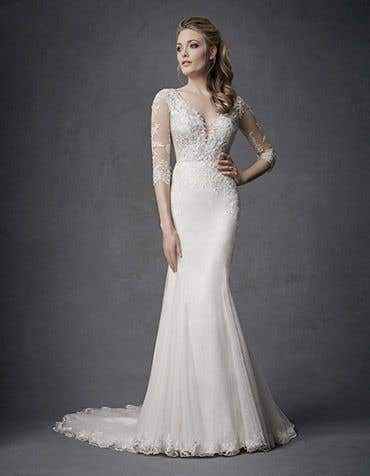 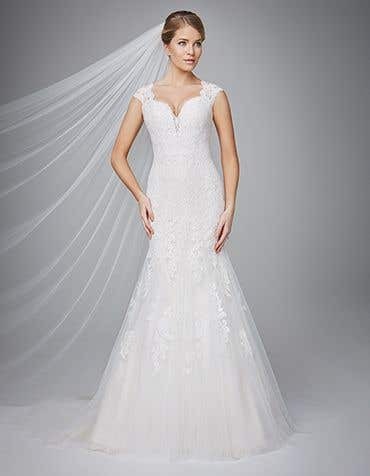 A v neck dress is perfect for showing off your shoulders, match with long sleeves for a stunning, elegant bridal style.  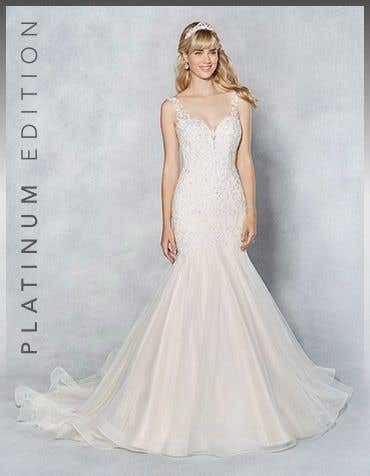 Visit one of our stores nationwide, which are open 7 days a week, and find the perfect v neck wedding dress for you.